An 18-inch replacement cylinder liner was manufactured for an engine used to compress natural gas. During the installation, the liner fractured and fell into the engine block, causing damage. 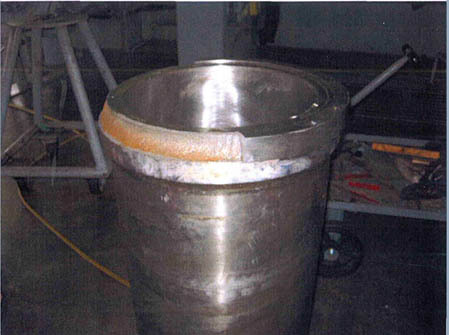 The design of the failed cylinder liner was subsequently changed, incorporating a larger radius where the shoulder of the liner sits on the engine block. We evaluated the cylinder sleeve with two shoulder support regions and modified the design.